Danish painter Severin Krøyer, professionally known as P. S. Krøyer, was born on July 23, 1851 in Stavanger, Norway. Among the Skagen Painters, he was the most loved, popular and colorful. He was one of the Post-Impressionist painters of late 19th century. The Skage Painters were a group of Nordic and Danish artists who lived and worked in Skagen, Denmark. Skagen was a popular destination of artists every summer because of the quality of light and scenery in the area. It was conducive to en plein air painting that’s almost the same as what the French Impressionists did. However, the Skagen artists were more influenced by the Realists, like the artists belonging to the Barbizon school. Unofficially, the Skagen group was led by Severin Krøyer. Severin Krøyer grew up in Copenhagen and was a student at the Royal Danish Academy of Art under Frederik Vermehren. He completed his studies in 1870 at the academy at the age of 19. He debuted officially in 1871 with the exhibition of a portrait he did for a friend at the Charlotttenborg. It was the start of a long association as Krøyer regularly exhibited his works in this gallery during his entire career. 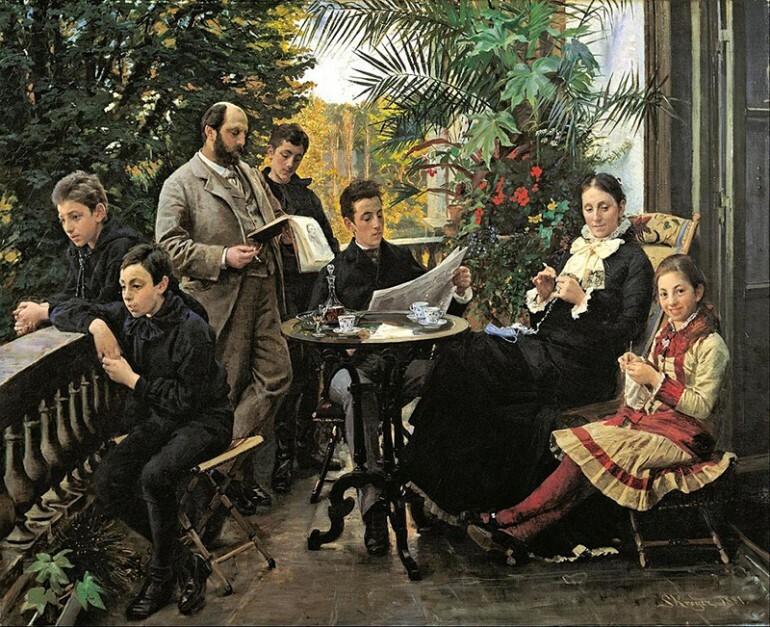 Heinrich Hirschsprung, a tobacco manufacturer from Denmark and also an art lover and collector bought his first painting in 1874 from Krøyer. It too, became the start of a long association. The art collection of Hirschsprung later became the nucleus of the Hirschsprung Museum located in Stockholmsgade 20 in Copenhagen. 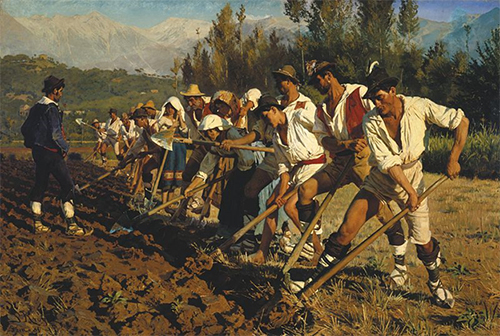 Krøyer initially started studying the works of Velazquez keenly, but became the leading member of the Skagen group, whose members were called the painters of light. Some of its members were Carl Locher and Holger Drachmann. Although they were influenced by French Impressionism in that they studied and tried to capture the effects of light on objects and surfaces at different times of the day, their paintings did not show the dabs of pure colors. Likewise, Krøyer’s en plein air painting were naturalistic and lively. In his works, “Summer Evening on Skagen’s South Beach with Anna Ancher and Marie Kroyer” and “Hip Hip Hurrah! Artists Party at Skagen,” the influence of Whistler and Renoir could be seen. P.S. Krøyer traveled extensively and spent much time in Paris to study the works of several Impressionist masters, such as Georges Seurat, Paul Cezanne, Camille Pissarro, Pierre-Auguste Renoir and Edouard Manet. He was drawn to the art movement and their penchant for painting from real life, and endeavored to loosen his brushstroke and use a lighter palette. The carefree life in Skagen became one of the favorite and most popular subject of Krøyer. Termed as blue hour paintings, these were his notable works that depicted the particular time of day when the day is close to its end. At that particular moment a blue haze covers the landscape and the sky and the sea look like they are merged in a single tone of blue. Skagen was where Krøyer remained, occasionally taking in students, one of which was Vilhelm Hammershoi.